We could have stopped there, we didnt. An even lighter chassis, an even more powerful engine, an even more responsive transmission. V12 Vantage S the most ferocious Aston Martin ever produced. 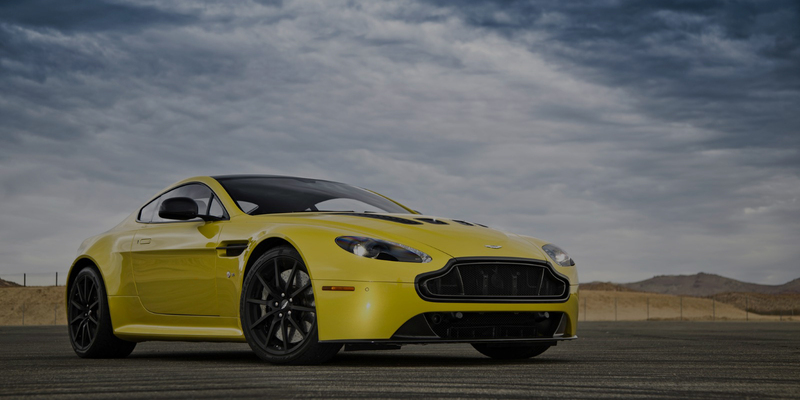 V12 Vantage S offers the greatest range of exterior options ever created for Vantage. An optional carbon pack layers wing mirrors, rear lamp infills and side-strakes with a symmetrically woven carbon-fibre finish. Roof and rear panel graphics packs - painted by hand - can contrast or complement the body colour. An all new black finish for side window surround offers further customization. An advanced engineering story told by monumental numbers. 15kg lighter than V12 Vantage. 571PS of power. 620Nm of peak torque. With enhanced low and mid-range power the new-generation AM28 engine pushes the V12 Vantage S to a top speed of 205mph, creating the fastest series production model weve ever made. The latest generation of V12 engine roars to life with exceptional figures. Capable of reaching 205mph, engine torque improves throughout the rev range. With 620 Nm available at 5,750 rpm up from 570 Nm previously the V12 Vantage S powers to new performance heights. Two seat designs - Sports or Lightweight - a choice of Luxmill or semi-aniline leather, plus Alcantara and a dramatic range of panel, stitch and stripe designs for seats and door panels.